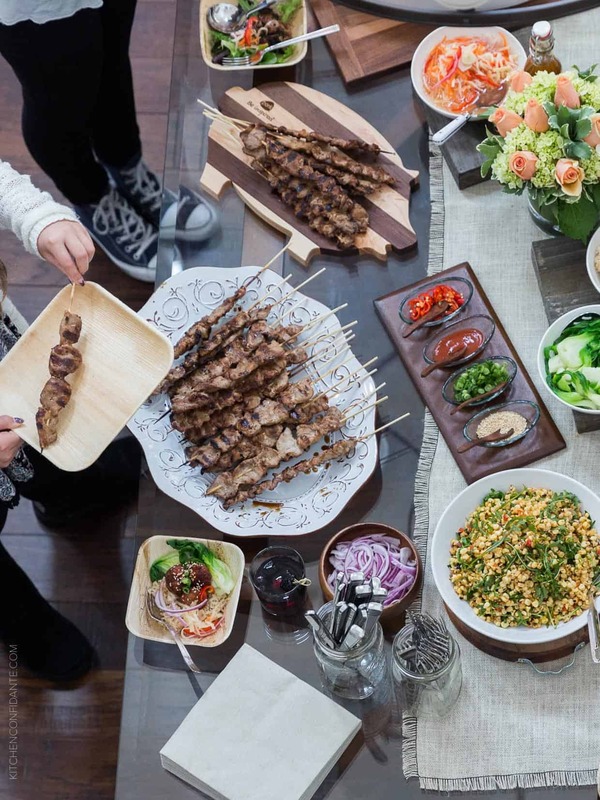 Upend your traditional game day eats with new trends that will bowl your guests over! This post is brought to you in partnership with the National Pork Board. Football fever has descended on the nation, and especially here in San Francisco, where preparations are being made to host the Big Game in just a couple of weeks. There are already talks of road closures and traffic detours, and it’s not just for one day – the next two weeks, commuters and tourists are realizing that it won’t be that simple to drive through the football frenzy for a little while! 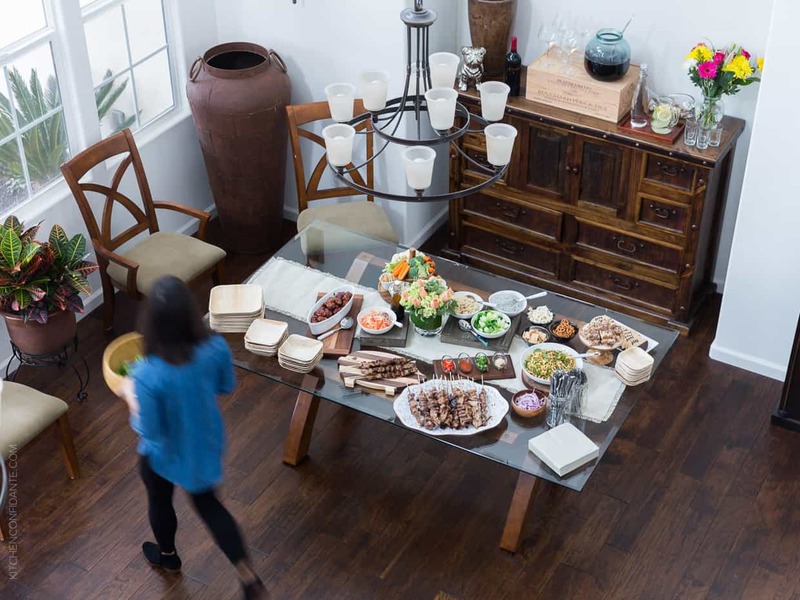 With events planned through the beginning of February, If you’re not going to be close to the action on the field, I think the best thing to do to celebrate the big game is by planning a party at home and focus on the FOOD! 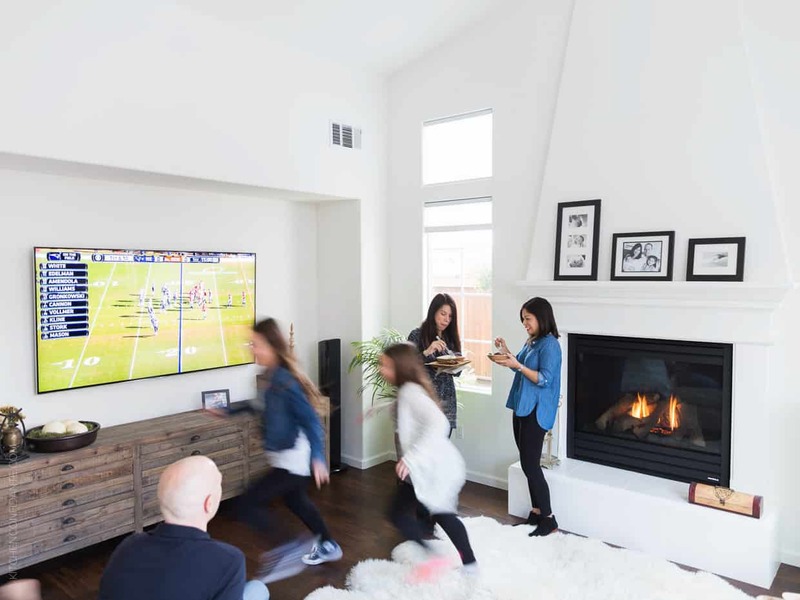 Like any sport, entertaining takes practice, so in the name of the game, I hosted a pre-party for the Big Game to test two new recipes that’ll amp up your game-day menu. 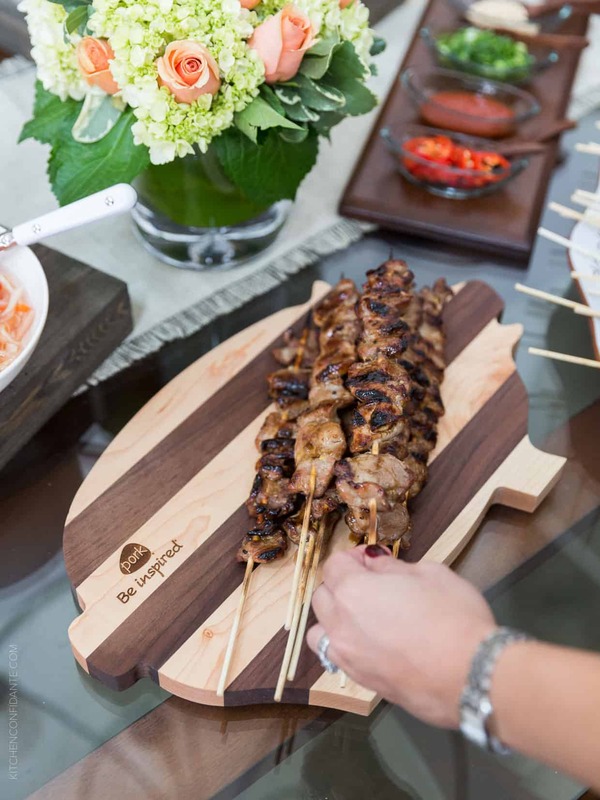 I’m shaking things up with pork in a fun collaboration with the National Pork Board with recipes that highlights two of my favorite Asian flavors: spicy Korean and Filipino (of course!) barbecue in a build your own bowl pre-bowl party! I know everyone has their traditional game day eats, but it’s always fun to upend your menu with something fun, exciting, and a little bit different! 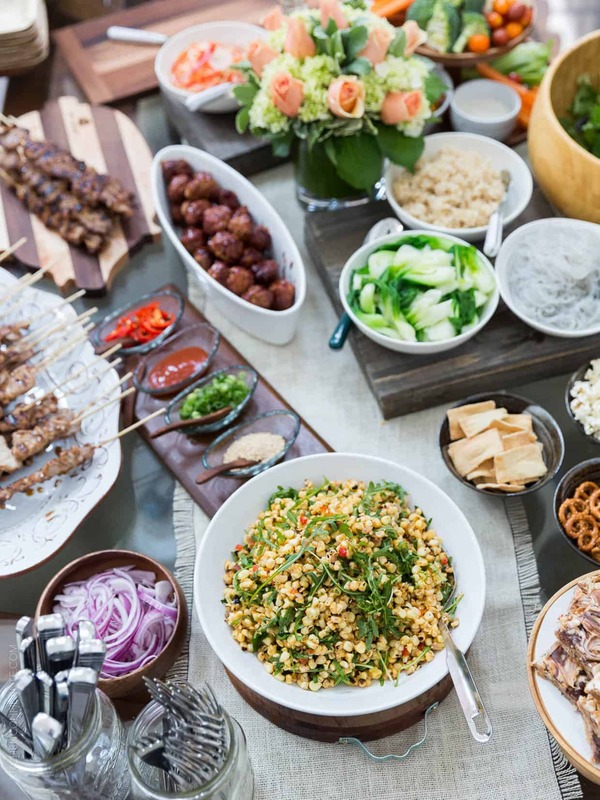 This game day spread has something for everyone, and is my spin on how we have all become bowled over by bowl recipes. Crowd pleasing noodles and fresh greens are topped with pork and toppings that can be mixed and matched to your heart’s content. Since meatballs are already a game-day favorite, I knew I wanted to do a meatball bowl that would update the usual bite. 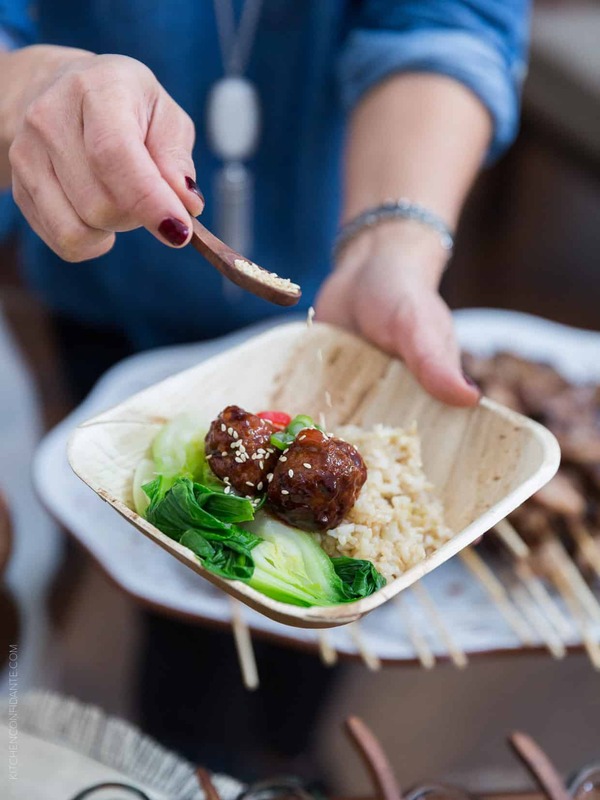 The Spicy Korean-style Meatball Bowl is perfect for taking an old favorite and giving it a new spin! Ground pork is blended with Asian pear, some garlic, Korean chili paste (for a little kick) and soy sauce for the ultimate savory bite. But to make it even more exciting, I glazed it with a blackberry chili glaze to give it an extra punch of sweet and spicy. 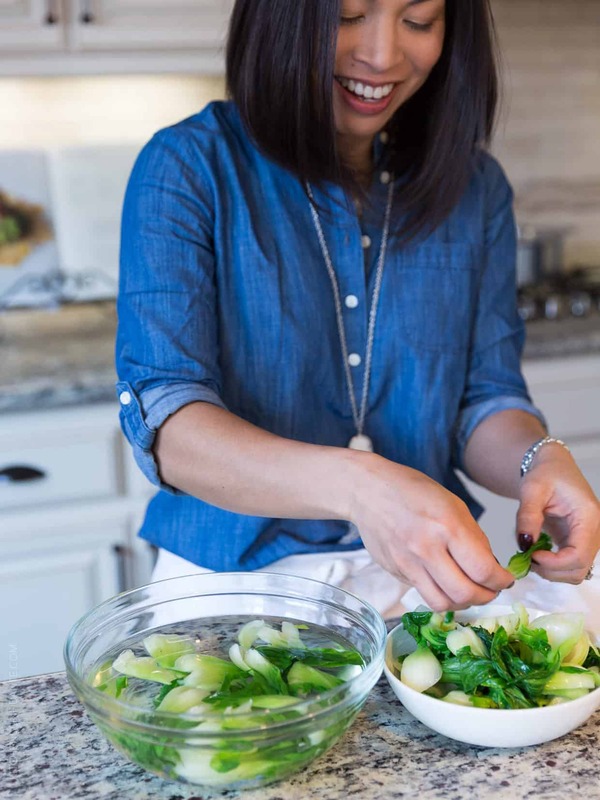 Serve it up over a bowl of brown rice or glass noodles with a side of bok choy, topped with green onion seeds, sesame seeds and you are good to go. 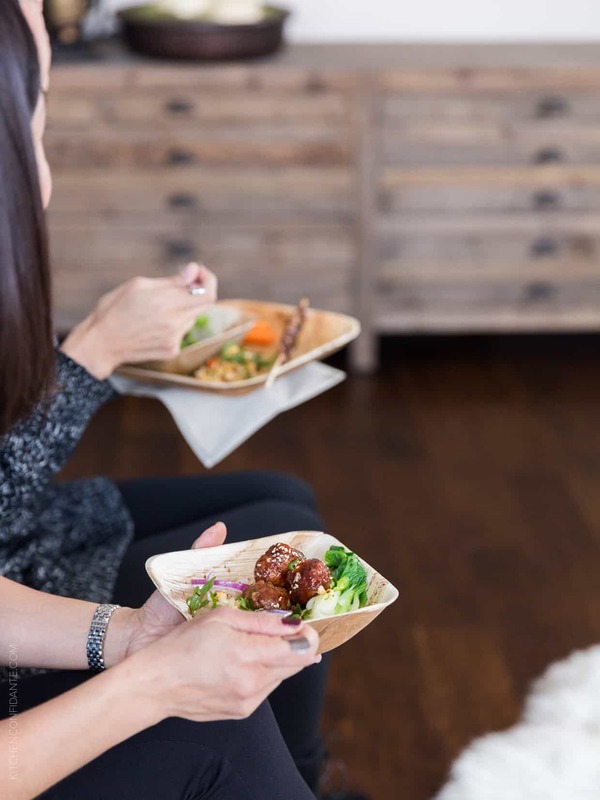 Now I knew I couldn’t have a game day party without my personal favorite: Filipino Pork BBQ Bowls. 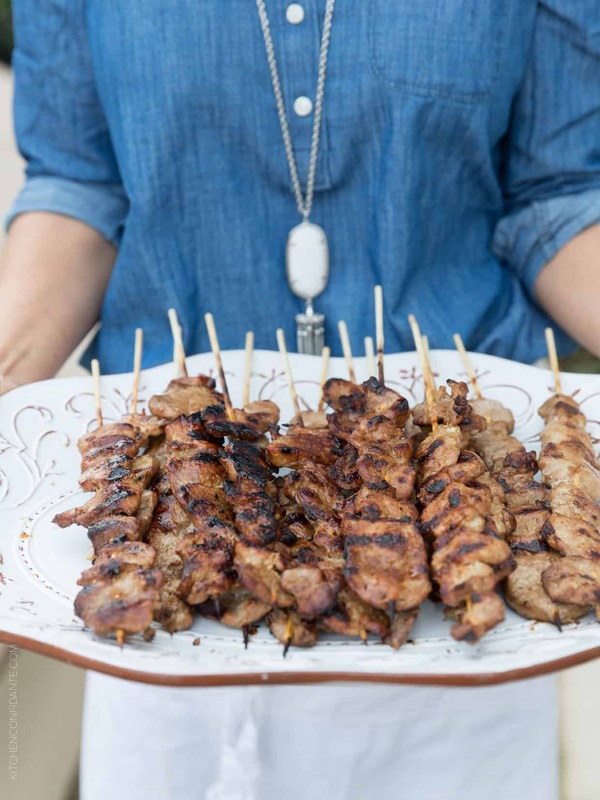 Go to any big gathering – especially my family’s game day parties – and these skewers of pork tenderloin marinated in a bold, tangy sauce always disappear in a second. 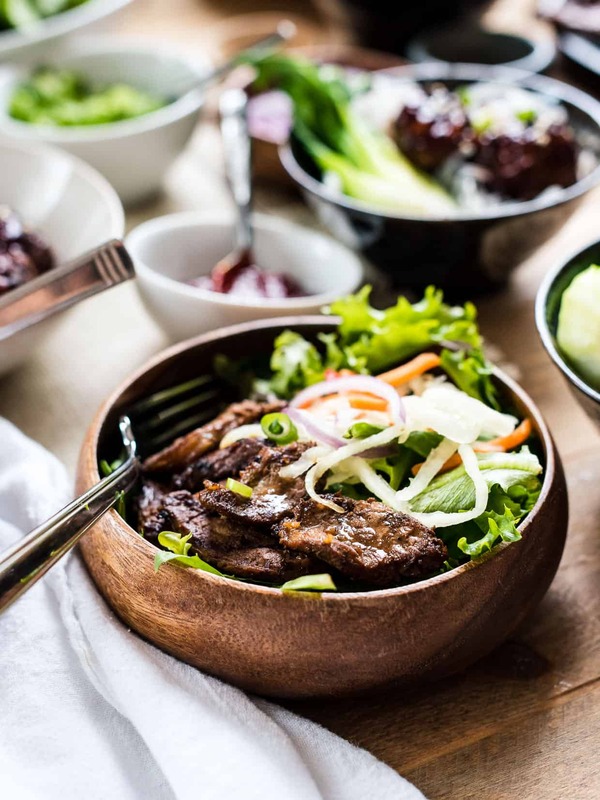 Place the morsels of bbq pork over fresh greens, serve it with achara (green papaya relish), and drizzle it with an Asian vinaigrette, and you’ve got a vibrant bowl that will be a total winner at your big game party. No matter what recipe you pick, don’t forget some key things when cooking pork: pork chops, roasts and tenderloin should be cooked to an internal temperature between 145°F for medium rare and 160°F for medium, followed by a three minute rest. For ground pork, cook to an internal temperature of 160°F. And of course, the fun doesn’t end after the big game is over. 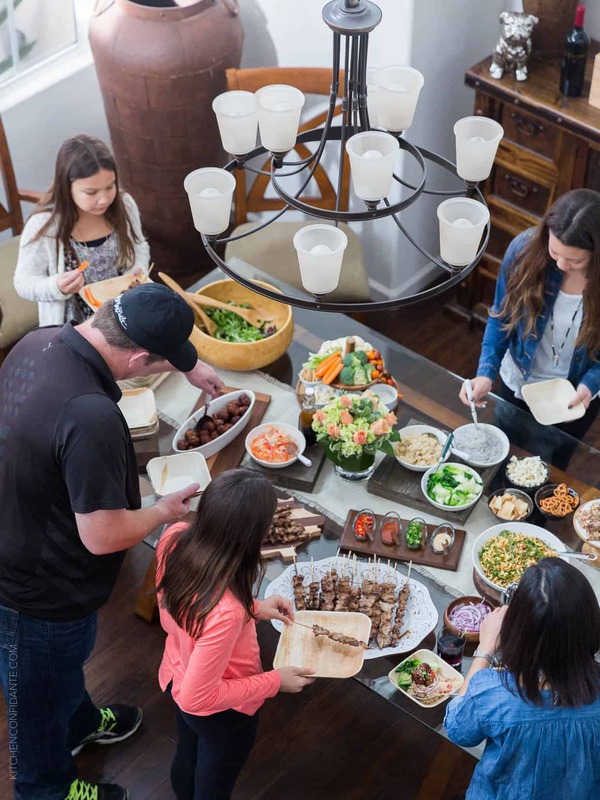 You know how much I love pork all year round, and these recipes are sure bets for any time you are entertaining a crowd. For more recipes like these, check out PorkBeInspired.com, and find them on Facebook, Twitter, Pinterest and Instagram at @porkbeinspired. Event photography by Ashley Batz Photography. Disclosure: This post is brought to you by the National Pork Board. 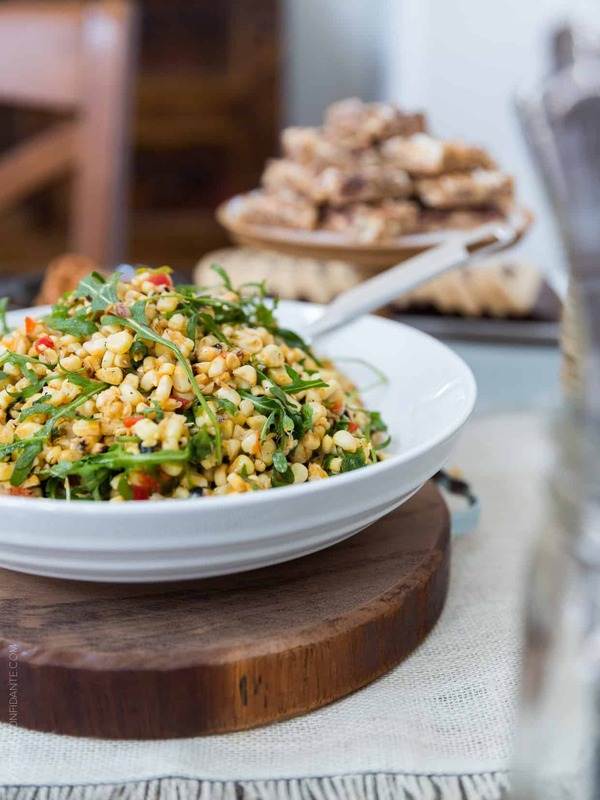 Sponsored posts such as these help behind the scenes at Kitchen Confidante. Thank you so much for supporting brands that matter to me and for making my blog part of your day!